I will be making some of these pickles from Honey & Jam very soon. And more on the pickle theme...craving these spicy pickled green beans & jalapenos from Blue Kale Road. These may well make an appearance on the weekend. And this from White on Rice is inspiring me to get ready to plant tomatoes. 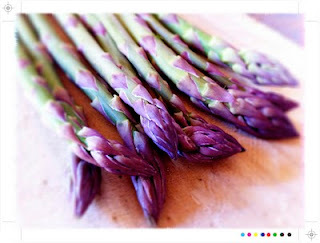 Spring is only days away meaning it is only a matter of time until asparagus is gracing us with its presence, and what better way to celebrate it’s arrival than with this from Jamie over at Life’s a Feast. Perfect simplicity. Week 2 of the NZ International Film Festival....it seems an age ago but in reality only a few weeks have passed since it was movies every night . Roll on 2013 it was quite a festival this year. Diana Vreeland - The Eye has to Travel - A look at the life and work of the influential fashion editor of Harpers Bazaar. Amazing lady and a fascinating and captivating documentary. On the Road - Jack Kerouac's classic novel comes to the big screen. I loved this one. Stunning cinematography, a great cast and a road trip that captures a bygone era and the beat generation. No - Serious and funny all at the same time as a a creative ad executive come up with a campaign to defeat General Pinochet in the '70s. Auckland Art Gallery - If you haven’t been...go! It is just a wonderful space. At the moment Home Auckland is featuring and it is well worth a look. An exhibition of contemporary Pacific art featuring many Pacific artists that live in Auckland. Some stunningly sunny days to farewell winter and after an inspiring talk from Kaye at Grow from Here we will be getting in to the garden and the herb garden and raised beds will hopefully soon be flourishing rather than weed filled. And a little bit of home beautifully photographed by Tartelette. Je t’aime Paris.... I want to go back thanks to these beautiful photos from At Down Under I am transported for a few moments. 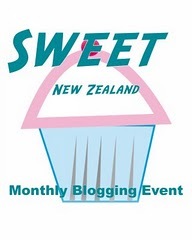 And of course our second annual NZ Food Blogger Conference. What an amazing 2 days Shirleen over at Sugar & Spice and All Things Nice and Alli from Pease Pudding put on in Wellington. Inspiring, filling and wonderful to catch up with old friends and such a pleasure to meet new ones. More on the feasting and the inspiring to come soon! In the meantime here are a few photos. Miang Kham, a one bite salad with a spicy sweet and sticky sauce. Sounds pretty good right? A platter of little things and then each one placed on a lettuce leaf, and all wrapped up in to a perfect bite sized little morsel. I read about it here and I couldn’t resist the temptation to come up with my own version, though it did end up being more like two bites. The is the perfect sharing platter of food where everyone can make up their very own Miang, it is almost like a twist on this pork larb. So let your imagination run riot. I am thinking shrimp, maybe a little mango, coconut, a few chillies, a little lime.... Or slivers of rare beef , a little oyster sauce, ginger, chilli, spring onion ....Or how about a take on peking duck pancakes...the possibilities are certainly endless and a great way to kick off a dinner party or BBQ. Place the salmon in a small bowl and add the fish sauce. 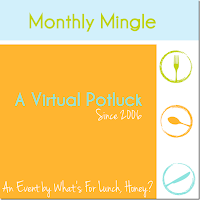 Cover and place in the fridge to marinate for 15 minutes. Grill the fish for a few minutes, under a medium heat, skin side up and then turn to grill the other side for another couple of minutes. Cooking time will depend on the thickness of the fillet, but you want it just cooked through. Once grilled set aside and allow to cool. Once cooled flake the salmon and set it aside. For the salsa combine all the ingredients, cover and allow to sit for at least 30 minutes to allow all the flavours to meld and develop. Place the salmon on a platter along with a bowl of the salsa, the cucumber, cashews, red chilli, a bowl of the sweet chilli sauce and a pile of baby lettuce leaves. Serve, let everyone tuck in to make up there very own perfect one two bite salad. Fresh crisp lettuce, a burst of mint, the rich salmon nicely cut through with the zesty, spicy salsa. The cucumber providing a little cool while that fresh chilli adds a fruity burst of heat. Added to the spicy and sour a welcome sweetness from the sweet chilli sauce and a sweet nutty crunch from the toasted cashews. A tasty, fresh two bite salad. 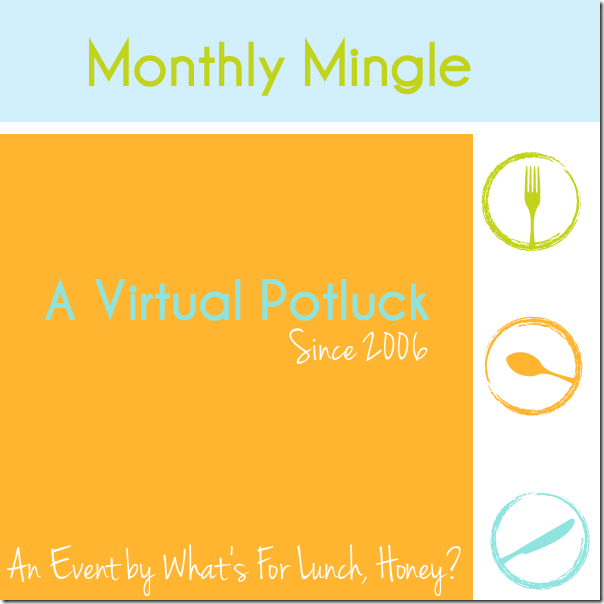 This is my entry to this month’s Monthly Mingle, Street Food being hosted by Zizi over at Zizi's Adventures. Bread wonderful bread, one of the world’s oldest foods and a cornerstone of so many cultures whether it be focaccia, ciabatta, panettone, pumpernickel, challah, paratha, chapati, naan, bloomer, brioche, baguette, Irish soda bread; so many wonderful breads from all around the globe. I think I love every single one of them. In fact I can’t think of any bread that I don’t like. 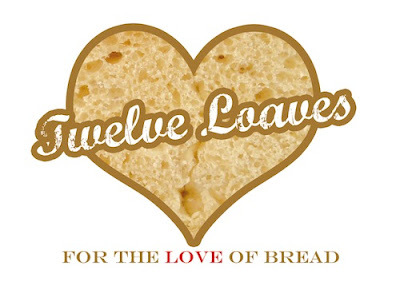 So I was happy to read about Twelve Loaves; a monthly baking challenge from Jamie at Life’s a Feast along with Cake Duchess and Parsley, Sage & Line Drives. For 1000s of years people have been baking and breaking bread, and it is not hard to see why. The aroma of fresh bread baking is hard to beat. And fresh bread with a slathering of butter would have to be one of my all time favourite eats. *if using frozen berries defrost and drain in a sieve to avoid soggy bread! Place the oats in a medium bowl and pour over the milk. Leave them to soak for 30 minutes. Butter, or spray with oil, and line a loaf tin with baking paper. Sift the flour and and baking powder in to a large bowl and add the milk soaked oats, apple, blueberries, sugar, honey, egg, almonds and salt. Gently mix everything together to combine with a large metal spoon. Pour the mixture in to the prepared loaf tin. Smooth the top and sprinkle with a few sliced almonds. Place the loaf in the oven and bake for 45-55 minutes. Every oven will vary so check after 40 minutes. When cooked the loaf will be golden on top and a skewer will come out clean. Allow the loaf to cool in the tin for 5-10 minutes and then gently turn it out on to a wire rack to cool completely or sneak a slice, just to taste test of course, and slather with butter. This loaf is lovely and moist from the apples and blueberries. Once cooled and spread with cool butter it is perfect along side a cuppa or your morning coffee. Full of oats and almonds it will tide you over until lunch and the fruit delivers a little for your sweet tooth too. I have been to Depot a few times, well maybe more than a few times. I don’t think anyone who has been there has a bad thing to say...more often than not they will start listing their favourite dishes whether it be the turbot sliders or the snapper tacos or both! The potato skins with aged Gouda and porcini salt have also made it on to the list of must haves. My most recent visit was with Kristina from Plum Kitchen one Friday evening and our timing was perfect as we got the best seat in the house, the bar looking right in to the kitchen (and the best light for taking a few photos!). A sea of calm that produces platefuls and platefuls of wonderful food, the only draw back is seeing plates that you haven’t ordered....next time! You can’t book so timing is of the essence, pre 6pm you should be fine to secure a spot, any later and there may well be a lengthy wait. Day or night Depot is buzzing. To ease in to the weekend a couple of glasses of bubbly and some lebanese bread and hummus while we decided what plates to share. Depot is just that plates to share which is great as it means you get to taste twice as many dishes and that is only a good thing here. First a little NZ meat board with Waikanae pork salami, paprika beef, Akaroa bresola, wild rabbit rillette and cherry relish. And on the side pickles and a fiery habanero mustard. are great my favouirte the wild rabbit rillette with a little of the cherry relish a top crispy crostini. The rillette is rich and the relish sweet and bursting with cherry flavour. To follow the turbot sliders. These are a favourite and they never fail to please. Perfectly cooked fish with a little pickled lemon mayo and a little pepper watercress on the cutest little bite sized brioche buns. Alongside the sliders pork carnitas with a tomatillo salsa. The salsa bright and fresh with a little zing the perfect accompaniment for the pork. On the side a beet salad and some of the aforementioned potato skins with vintage gouda and porcini salt. It is the porcini salt that elevates these to heavenly potato skins, it adds a wonderful savouriness that works wonders with the potato skins and the gouda. We were going to pass on dessert, but the lovely chef, and he was quite lovely, gave us one to try. Tamarillo compote topped with a creamy foam and sprinkled with crystallised sugar and chocolate for a little sweet crunch. The perfect end to a perfect evening. And this just in the snapper tacos are back! They have had a little vacation and now make a very welcome return....another visit to Depot is in order even if just to have a few of those, they are that good. Crispy battered fish with slaw all wrapped up in a soft tortilla...perfection! 26 Federal St, Auckland CBD, ph (09) 363-7048. Monday to Friday, 7am to late; Saturday, Sunday, 10am to late. Now that I have overcome my pastry nemesis I seem to have developed a little craving. This cream cheese pastry is just so good. Just as pastry should be; short and buttery it just melts in the mouth. And so versatile equally adaptable to both sweet and savoury! There was a little left over pumpkin post the crispy kale and roast vegetable salad with the lemon and tahini dressing so I thought I would give the cream cheese pastry a whirl in a savoury incarntion. Again it didn’t disappoint. I really do believe it is fail proof pastry. So if you are a little pastry shy please give this one a try as I think I can be quite sure that you will not be disappointed. Along with the pumpkin I had some beautiful cavolo nero or Italian black cabbage. Like kale it is part of the brassica family and is popular in many classic Italian dishes from soups to stews but it also works a treat in this little tart. 1 bunch cavolo nero. Kale, chard or silverbeet would also work well. 1/2 cup feta, crumbled. 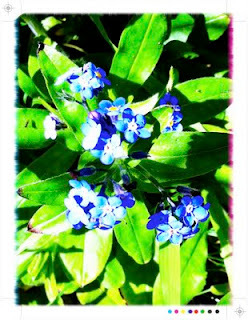 (Or thinking a pungent blue would also work a treat. A round or rectangular tart tin buttered or sprayed with a little oil. For the pastry: Bring the butter and cream cheese to room temperature and place in a food processor. Blend together and then add the flour and mix until combined. Turn the pastry out on to a floured surface and gently knead until it comes together. Wrap in cling film and refrigerate overnight or chill in the freezer for 20-30 minutes. When ready to use roll out the pastry on a floured surface until a about 3mm thick and then place in your prepared tart tin and trim the edges. Chill the pastry again for 20-30 minutes before baking. Pre heat the oven to 190C/375F and while the pastry is chilling roast the pumpkin. Cut the pumpkin in to bite sized pieces and place on a baking tray lined with baked paper. Sprinkle with salt and pepper, a pinch of chilli flakes and drizzle of olive oil. Toss to coat the vegetables and roast in the oven for 25-30 minutes until golden and roasted. Remove from the oven and allow to cool. In a frying pan heat a couple of tablespoons of olive oil over a medium low heat. Add the onion, garlic, chilli and season with a pinch of salt. Saute until translucent, about 3-5 minutes. Add the cavolo nero and saute for another 5 minutes until the greens are almost cooked, but still retain a little crunch and their vibrant green hue. Remove from the heat and set aside to cool. Whisk together the eggs and add the cream. Whisk well and season with salt and pepper. Add the cooled pumpkin, cavolo nero and the crumbled feta. Gently fold everything together and pour in to the pie crust. Place the pie in the oven for 25-30 minutes until the pastry is golden and cooked through. Allow to rest for a few moments before slicing and serving. The pastry was again buttery and a little flakey. The filling creamy with sweet roasted pumpkin, hearty dark greens and a lovely sharp, slightly salty hit from the feta make this one tasty tart. So I finally got around to trying kale chips, not even a few months but a good few years behind everyone else! I can testify that they are quite delicious and moreish. Almost a replacement for the real deal, however I don’t think I will every be able to go past kettle chips. Something I am not able to resist are golden, crispy, salty potato chips. I think just about everything else I can abstain from for a certain amount of time but potato chips, or crisps as we called them in the UK, have always been somewhat of an addiction. Absolutely no idea why I have waited so long to try these kale take on chips as they are seriously good, and they are green so they must even be good for you, so a win win! For the kale chips: Pre-heat your oven to 160C / 300F. Rinse and dry the kale, then remove any rough stems or tough centre ribs. Very roughly chop the kale and toss with a drizzle of olive all and a good pinch of salt and pepper. Line a baking tray with baking paper (less washing up!) and place the kale in a single layer. Pop in the oven and bake for 15-20 minute until the kale is crisp. Remove from the oven and allow to cool. While the kale chips are cooling prepare the roast vegetables. For the roast vegetables pre-heat your oven to 190C / 375F. I used pumpkin, carrot, parsnip, beetroot and maori potatoes, the purple ones add such a bright dash of colour. However you can use any mixture that takes your fancy. Cut the vegetables in to bite sized pieces and place on a roasting tray. Season with salt and pepper, a pinch of chilli flakes if you like a little heat, drizzle with a little olive oil and toss everything together. If you are using beetroot or the maori potatoes roast them in separate dishes to avoid their colour bleeding to the other vegetables. 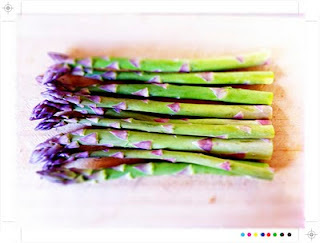 Place the vegetables in the oven for 25-30 minutes until cooked through and well roasted. A little browning and caramelisation just adds more flavour to the salad. For the dressing place the tahini, lemon juice and chilli flakes in small bowl and stir to combine. Set aside until ready to serve. The dressing will thicken while it sits, so just before serving just add a little water to thin it down, just a teaspoon or so at a time until you have quite a thick dressing but one that you can easily drizzle over the salad. To assemble the salad place a layer of kale chips on individual plates or a platter if sharing. Top with the roasted vegetables and drizzle the the lemon tahini dressing. A meal in itself. The sweetness of the roast vegetables playing nicely with the crispy greens and I do like the little hit of heat the chilli delivers. The dressing is a little tart yet a little creamy and brings everything together making this feel just a little luxurious, which I find is always a good thing when it comes to salads!